Discussion in 'Nook' started by spm, Jan 14, 2011. 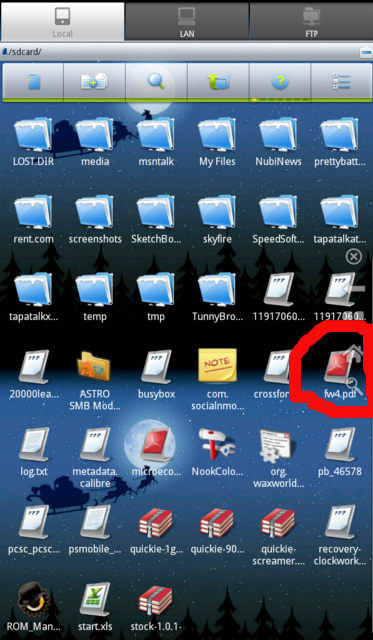 - softkeys - when I tap arrow, search it says "unable to execute as root"
- ezPdf - how can I set as my default pdf-reader? By default Android makes everyone just a user, so Superuser is an app that makes you a temporary administrator over Android. It holds a list of app that need SU permission to run. Some apps like tools and such (SetSPU, Clear cache, Busybox, etc.) can and do make changes to the Android system so SU is just a administrative permission tool. 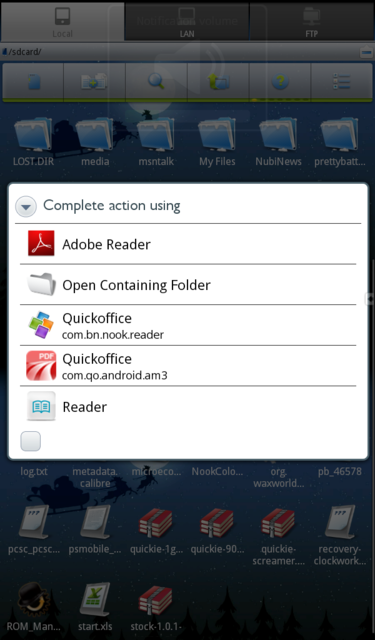 or clear cache for the app: nook color tools app > manage applications > Softkeys > clear cache. I've done the default process with your instructions.